Although Wupperthal town has been almost devastated by fire, the fire was localised and no veld was burnt. 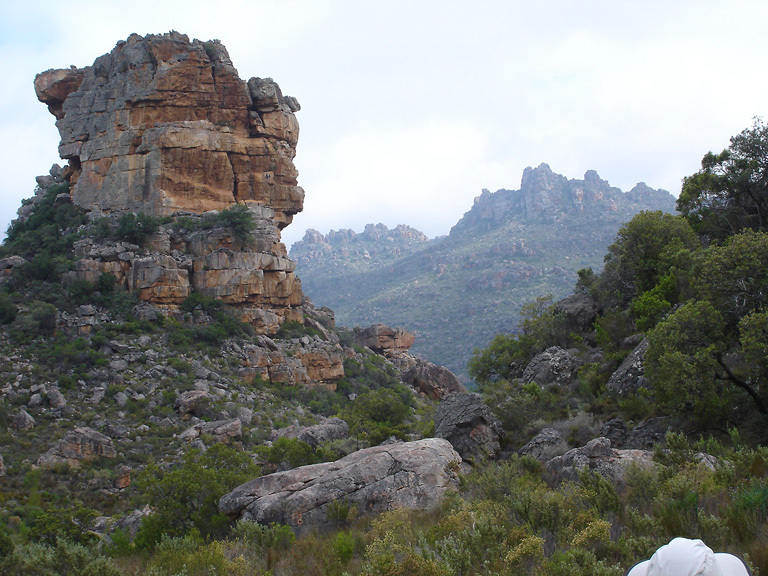 The Cederberg Hiking Routes have not been affected and are open as usual. Alhoewel Wupperthal dorp ernstig deur vuur beskadig is, was die brand net lokaal en geen veld het gebrand nie. 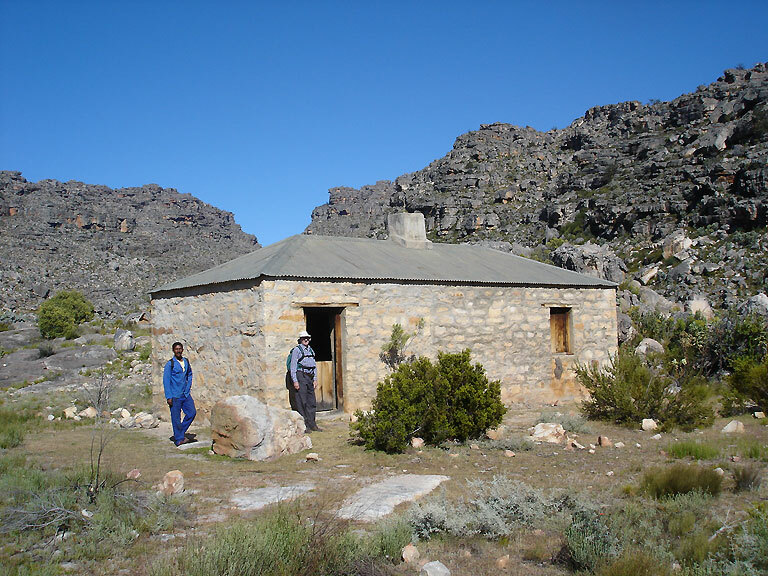 Die roetes van die Cederberg Heritage Trails is nie geraak nie en is oop soos gewoonlik. It is with great sadness that we advise you that Peter Hart died on 22nd June 2018, we shall all miss him. Earlier this year (2017) there was an extensive veld fire in the central Cederberg Wilderness. It burnt across from east of Driehoek to Sanddrif in the west and northwards over the mountains to Langkloof and Eselbank. 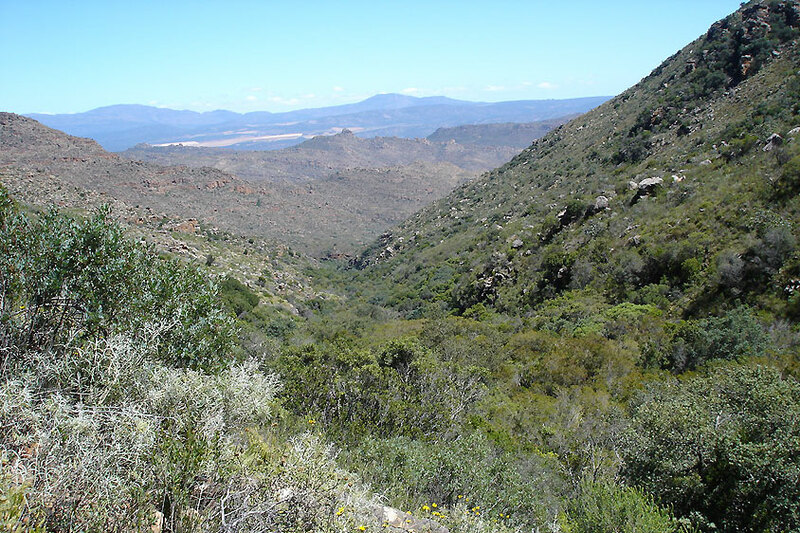 Cape Nature have closed this area of the Wilderness until at least 1 August 2017. 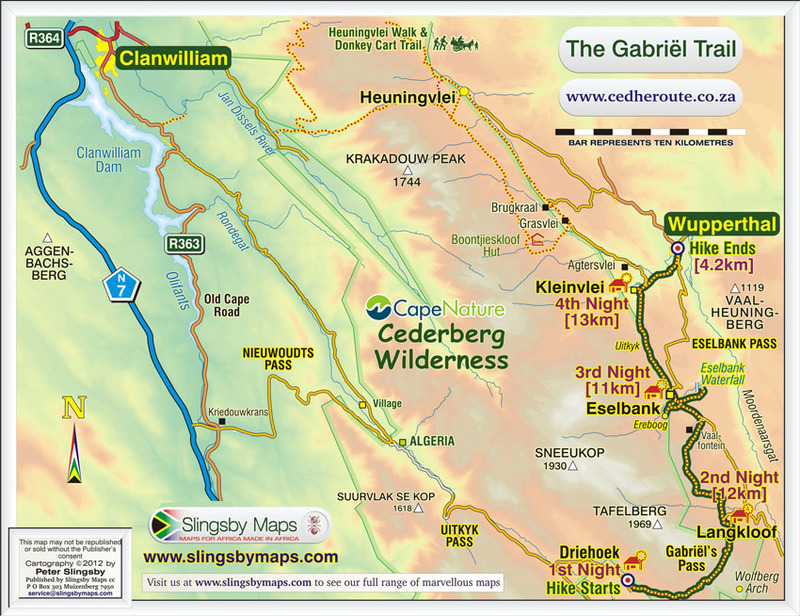 This means that we are not able to offer the Gabriel or the Cederberg 100 Trails at the moment and there is no access to the Wolfberg Cracks or the Wolfberg Arch. Our other four trails are not affected. 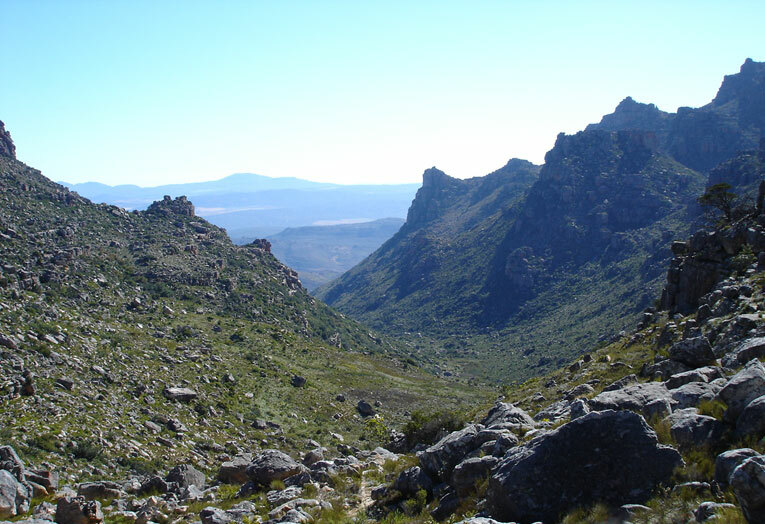 Posted in Uncategorized	| Comments Off on Fire in the Cederberg causes some trail closures – 2017. This article by Richard Holmes appeared in the January 2015 issue of TFG Escapes, a custom magazine for the Foschini Group of companies. 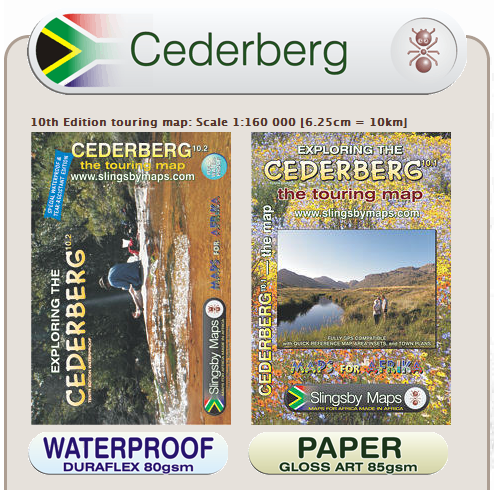 It provides an overview of the trails offered by the Cederberg Heritage Route. There was a good attendance of 31 Members and Friends at the Annual General Meeting held on 22 July 2015 in the Community Hall in Wupperthal. 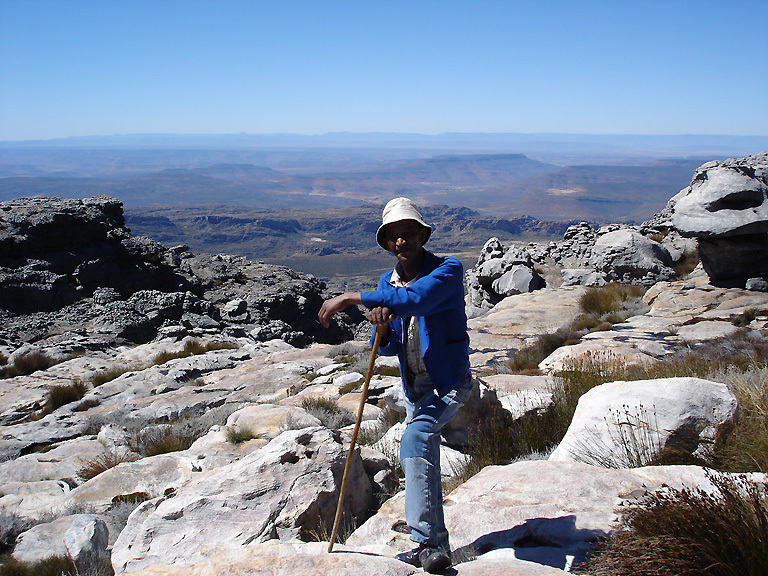 Die besetting van ons loslitstaproetes (slackpacking trails) het in die afgelope jaar meer as verdubbel. Een van die redes is waarskynlik ‘n artikel in Country Life deur Dale Morris, ‘n joernalis wat saam met ons die Cederberg 100-staproete gestap het. Onmiddelik na die artikel het die telefone begin lui. Ons het die volgende brief ‘n tyd gelede aan die redakteur van Country Life geskryf en dit het in ‘n geredigeerde vorm in hulle briewekolom verskyn. In the year ending 28 February 2015 we sold 874 bed-nights of accommodation and paid out R607 789 to our various Service Providers for accommodation, catering, transport and escorting our clients from one overnight stop to the next. In the seven years that we have been operating our trails we have sold 2865 bed-nights of accommodation and paid out R1 796 605 to our Service Providers. Gedurende die jaar is kontak gemaak met die Rooibos-Erfenisroete. Die roete word bestuur deur die NGO Indigo van Nieuwoudtville en is gemik op die bekendstelling van tradisionele verbouing van rooibostee deur die kommunale boere van Nieuwoudtville- en Wupperthal-omgewing. 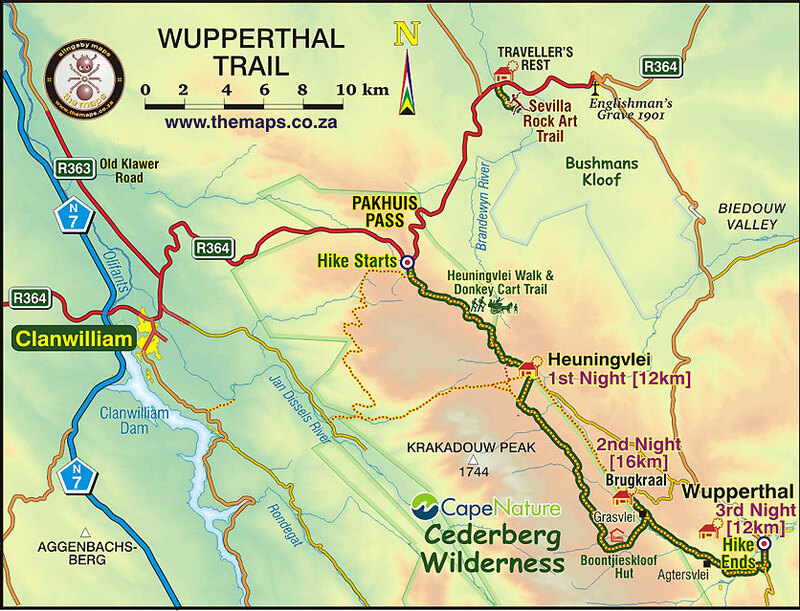 Die roete strek van Nieuwoudtville tot by Heuningvlei en Wupperthal . Dit word met ‘n voertuig gedoen en oral op die roete is interessante besienswaardighede en besoekpunte. Ek het ‘n mediatoer van die roete meegemaak. Twee van hulle gidse het ook ons gidskursus op Heuningvlei bygewoon. Daar is raakpunte tussen ons twee organisasies en samewerking is tot albei se voordeel. Die besetting van ons roetes het in die eerste drie maande van die huidige finansiële jaar drasties afgeneem in vergelyking met verlede jaar. Ons kry goeie gratis dekking deur die media, ons het ‘n goeie webblad en ons is in alle brosjures van ons streek en is redelik goed bekend. Stappers geniet ook die staproetes. 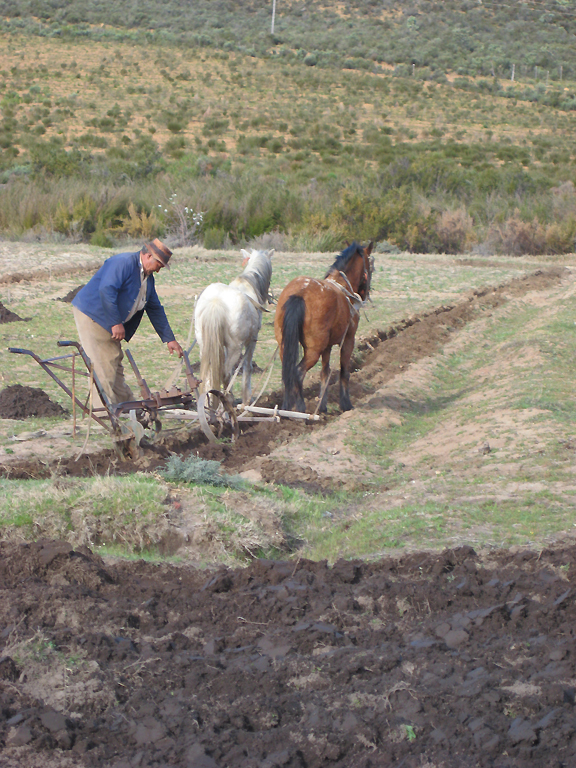 Nogtans is ons besetting in vergelyking met ons potensiaal baie laag. Ons kry heelwat terugvoering dat ons pryse te hoog is in vergelyking met ander staproetes. Ons is tans besig om te kyk na verskeie maniere om ons staproetes meer bekostigbaar en mededingend te maak. Ons het vir die eerste keer, teen ‘n spesiale prys, geadverteer op die Dirty Boots webblad en ons inligting is ook ingesluit in hulle pamflette en brosjures. ‘n “Triple Hiking Holiday” staproete is uitgewerk en ‘n webblad is opgestel. Dis gerig op die oorsese mark en dit kombineer drie staproetes, nl. 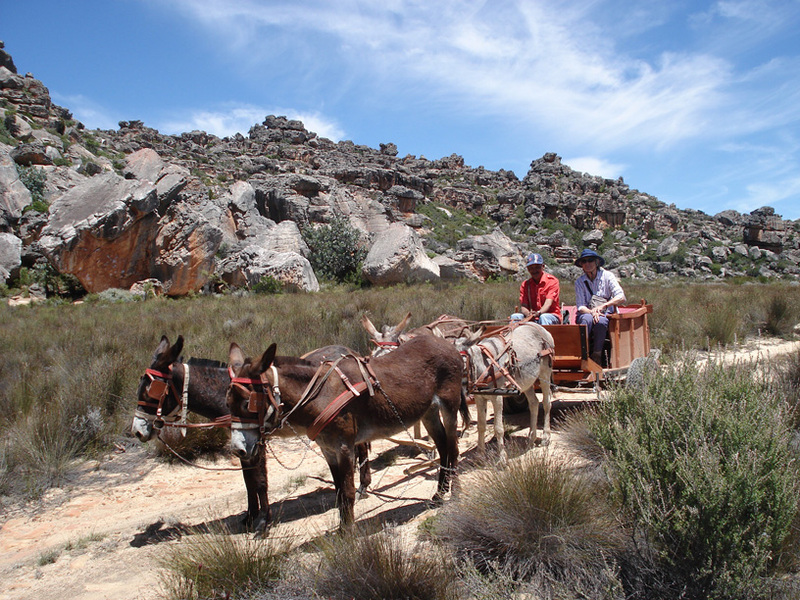 Cederberg Heritage Route, Elgin Wynlandstaproete en die Kaapse Skiereilandstaproete in een vakansie. Na 9 maande het ons egter nog geen besprekings hiervoor gekry nie. Elke stapper kry ‘n vraelys waarop hulle terugvoering gee wat Michelle Truter van Cederberg African Travel vir ons verwerk. Dis waardevolle inigting en help ons om ons diens te verbeter en in voeling met ons gebruikers te bly. Die Cederberg Erfenisroete het toerisme in die kleiner dorpe om Wupperthal gestimuleer en baie toeriste kontak reeds oornagplekke direk om daar te oornag, iets wat ons aanmoedig. 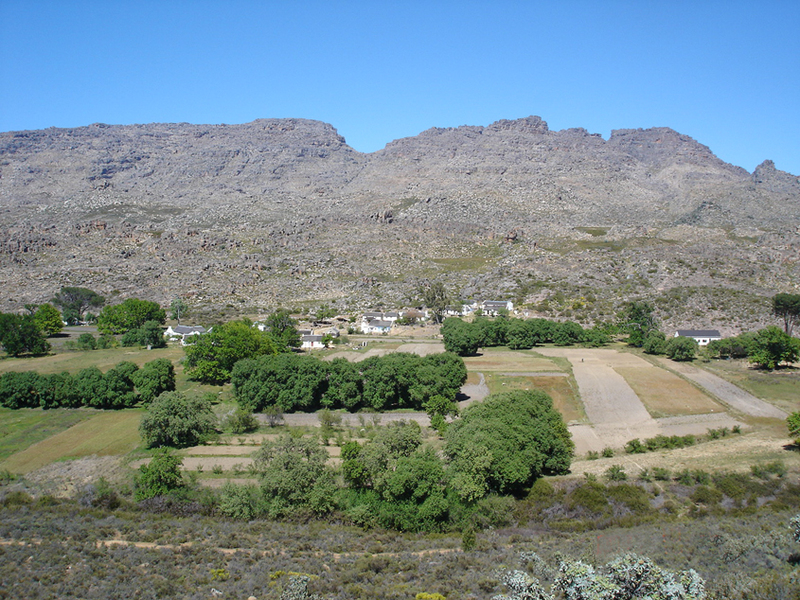 Die feit dat die Cederberg Erfenisroete se besetting nie dramaties groei nie beteken nie dat toerisme in die Wupperthal area in sy geheel nie groei nie. Die bestuurskomitee het drie maal sedert die laaste Algemene Jaarvergadering vergader. Cedarberg African Travel has continued to provide a central reservation office for our Trails and to co-ordinate the activities of the many local Service Providers. I thank them for their efficient and enthusiastic support. We couldn’t operate without them. 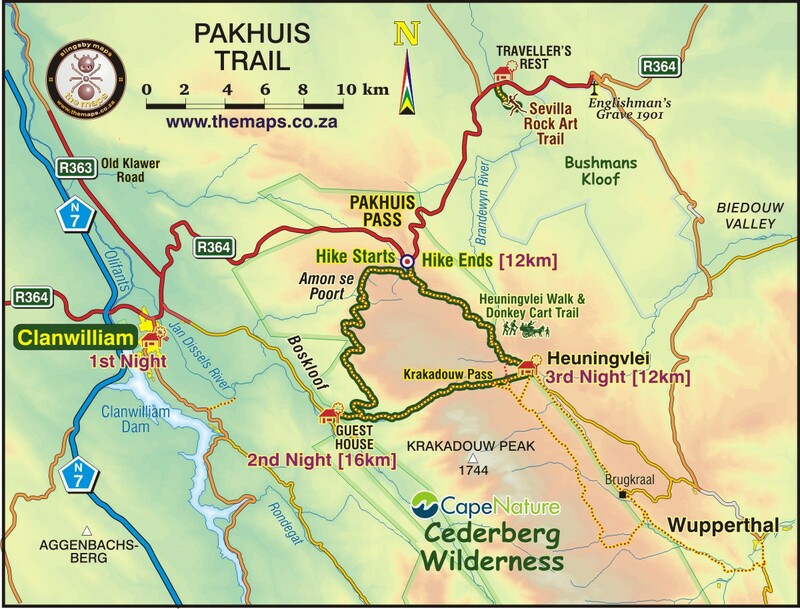 We thank CapeNature for giving us access to the Wilderness Area, for the use of the Pakhuis-Heuningvlei jeep track as a donkey cart route and their general support. 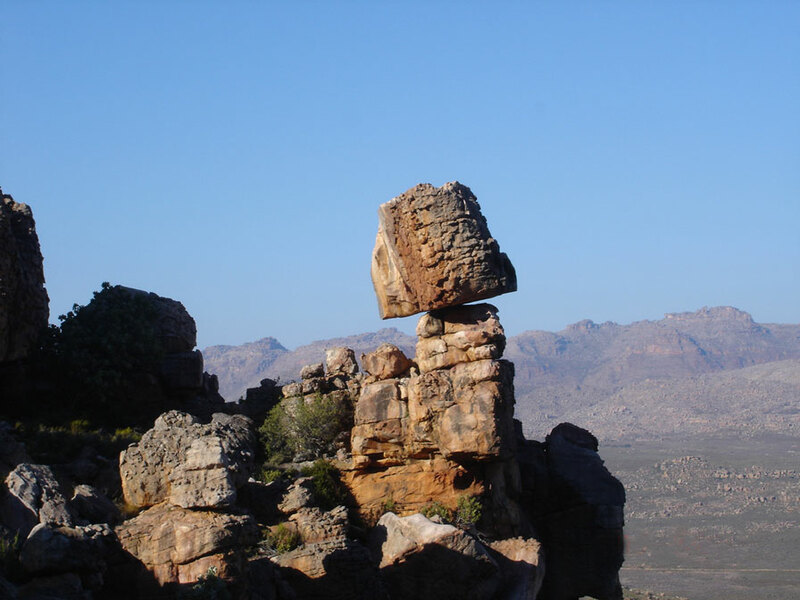 Laastens namens die Cederberg Erfenisroete ons dank aan die Morawiese Kerk vir die vergaderlokaal wat hulle altyd tot ons beskikking stel. 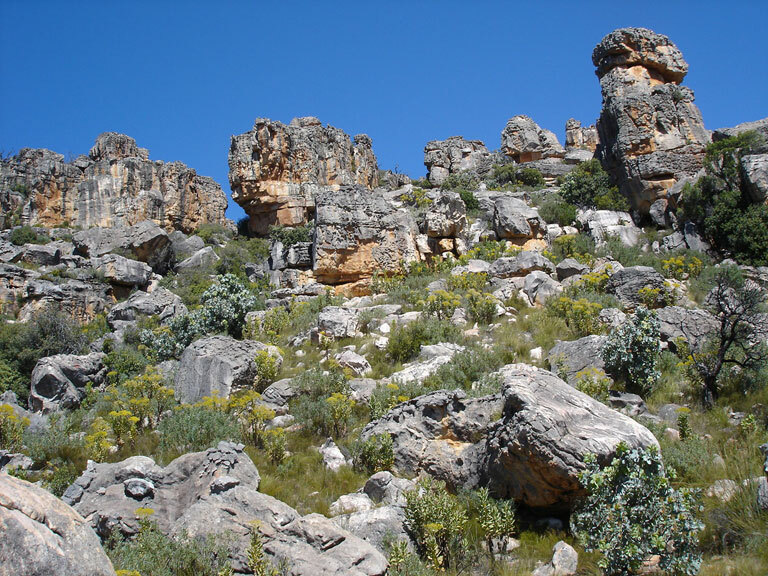 Dankie aan elke komiteelid van die Cederberg Erfenisroete vir julle waardevolle bydraes asook dankie aan al die diensverskaffers en die mense van die groter Wupperthal gebied vir julle diens en entoesjastiese ondersteuning. 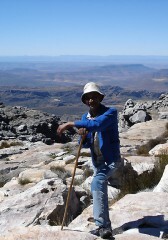 Rudolf Andrag, Voorsitter: Cederberg Erfenisroete. 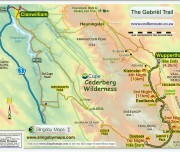 To: Michelle Truter, Cedarberg Travel, Clanwilliam. From: Jane Barenblatt, Bantry Bay, Cape Town. It was wonderful meeting you on the Wednesday evening before our hike, and as I said to you that evening, you did a wonderful job, of once I had started the enquiry of hiking in the area, to never “let me off the hook.” You are obviously passionate about your job, and the professionalism with which you presented the information to us that evening, was excellent, as well as the envelope including all information, from the predicted weather, through to the story behind the CHR community initiative. We, as a group, were very impressed with this trail and the people we met along the way, and I will, as briefly as possible, set out a few pointers that could certainly enhance the trail even further. The transfer to Driehoek for 5 persons should have been done in a bigger vehicle, as the space was not really enough on the back seats for a 90+ km transfer. Rodney is a superb driver and was kind enough to take responsibility to get our cars parked and washed at Living Landscape. What a pleasure to arrive back to spotless cars on Sunday afternoon! 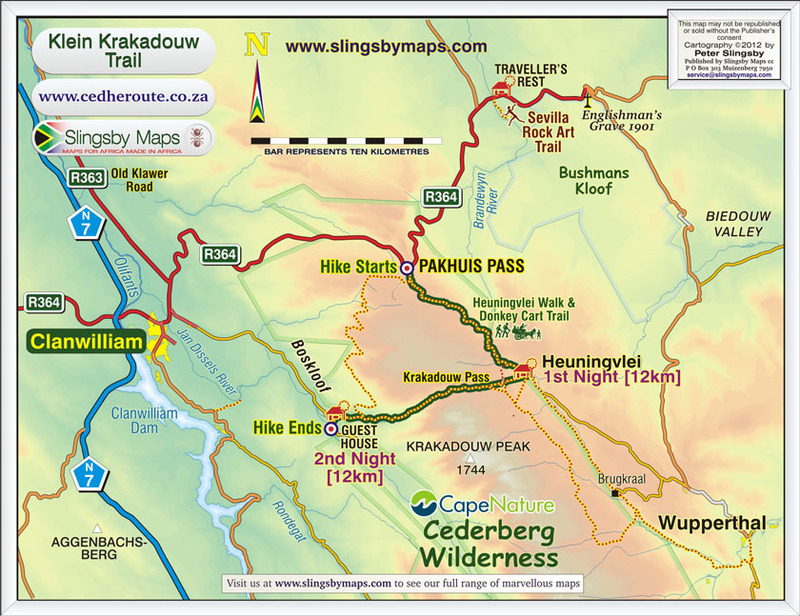 Our first day’s hike was magnificent, and the detour to the Wolfberg Arch a highlight. The Aloe Lodge made the most amazing chicken salad, but a suggestion to them for the future, is to put the dressing separately in a small disposable container, as this can get messy in a backpack. The paper bag should also be replaced with a plastic one (we realise this is not environmentally responsible), but for practical reasons, it contains the rubbish more efficiently. 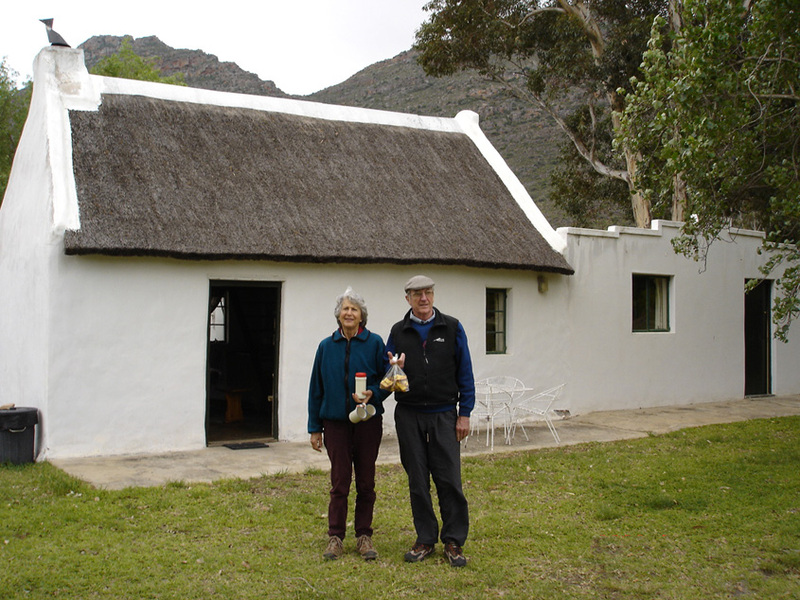 We enjoyed the company of Marlin who was a concerned guide and showed us plants and their uses along the way.The arrival at Langkloof was a highlight. Tea and scones with Oom Koosie on the stoep. This was a fantastic welcome, followed by an amazing dinner by his grand-daughters. The second day’s hike, Harry was our guide, who was also tremendous. In your instructions, I think you need to note to all future hikers, that they should consider wearing long pants, as the grasses and fynbos can scratch and cut one once one reaches the “non-path white marker section” We were warned by Oom Koosie, but you could consider including this in your pre-presentation brief for packing. The lunch pack that the ladies did was superb with salad and tasty meatballs. We arrived at Eselbank at Ina’s guest house, welcomed by Ina and her son, Cardo. Here we felt we missed the tea and scones that we had so enjoyed the previous day, and we have made the suggestion to them, that Ina’s delicious cappuccino muffins that she served us at breakfast, could be used at tea time on arrival. It is always nice to come into a warm comfortable space at the end of a long hiking day, to be welcomed with a pot of Rooibos and something to eat. The dinner that evening around the fire was superb and the Groenboontjiebredie was a hit!. 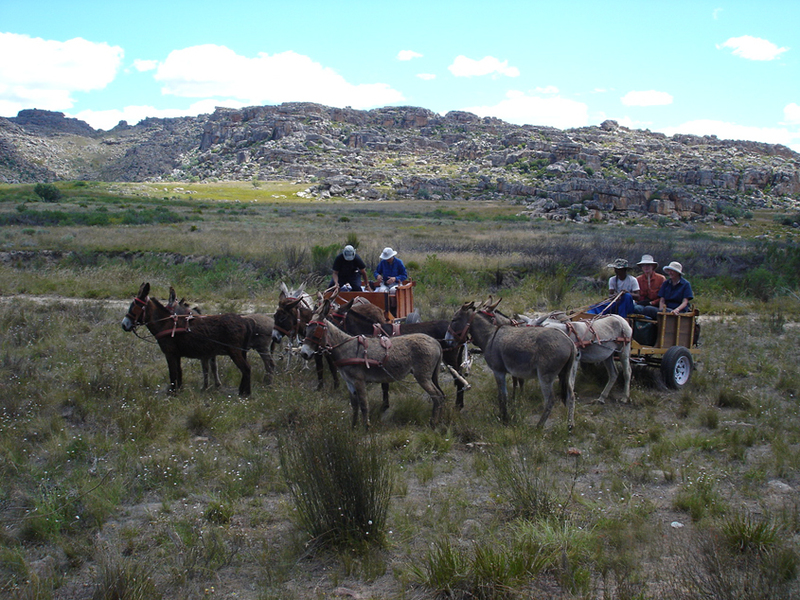 The following day we were met by Avril and the donkeys for our 3rd day’s trail to Kleinvlei. 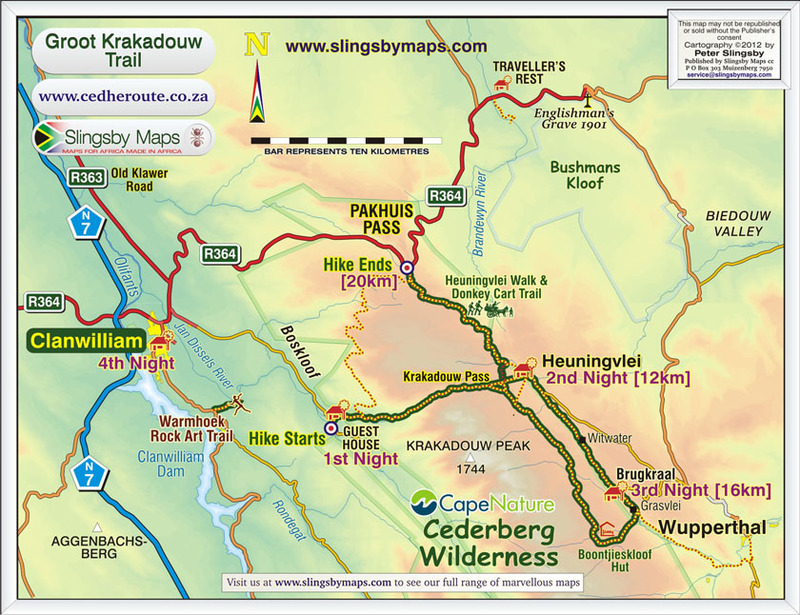 The information sheet reads as a 13km hike. 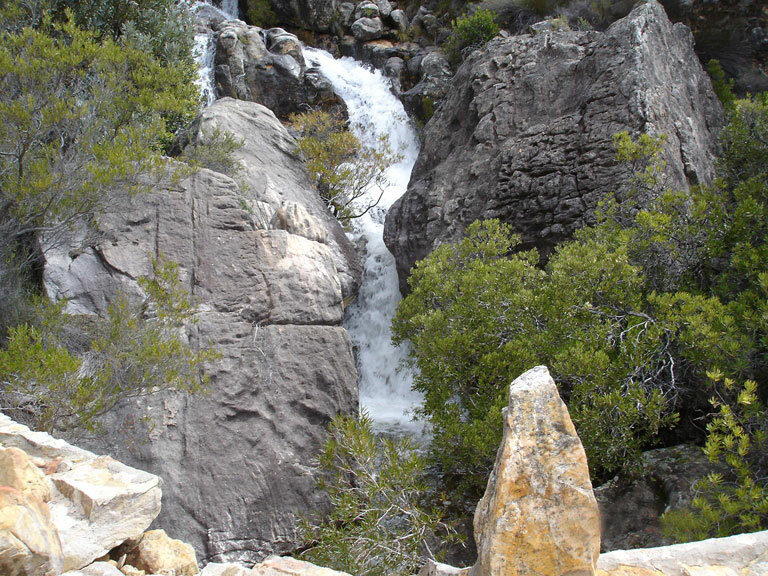 This is if one does the waterfall in the morning, and then an extra 6km up a trail and return by the same route. As hikers, we feel that you need to create a trail 10-13Km long, not lengthen the experience by walking up a mountain, only to walk down again. 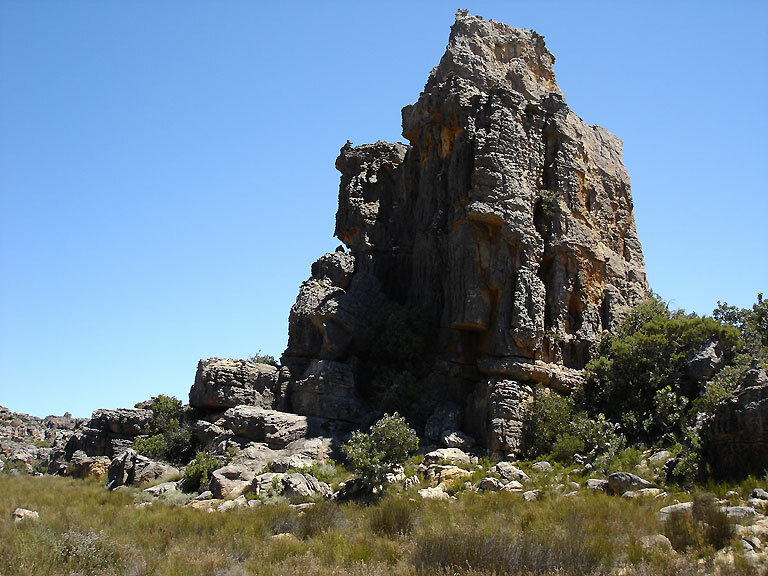 It would be different, if one is going to see a very special rock formation, bushman paintings or a waterfall. Also once you see a village that you are going to stay in for the evening, you don’t want to veer off the path just to lengthen the day. The welcome again in this village, was with warm pots of tea and special ladies to make sure we were comfortable. After 3 wonderful “home-stays” and much discussion with the group, we came up with some ideas that we feel could also provide the villagers with extra income from hikers such as us. We saw so many abundant lemon, orange and naartjie trees in the villages. We felt that if someone started an initiative, where jams, marmalade or lemon juices are made for sale, people would buy them. Also we saw the most amazing colours of Chrysanthemums growing in the gardens. If the seeds were collected at the end of the season, and put into envelopes, these could be sold in the guest houses. Aubrey Mac Callum was such a special person to meet, and was generous of spirit to allow us to watch the Stormers rugby game in his home. Bridgette, Avril’s wife, was making bread in the outdoor oven as we passed by on our evening stroll, and we got involved and enjoyed this experience. This should be included in the days activities, and then the hot Sourdough bread could be served with the dinner. The dinner that evening was delicious. 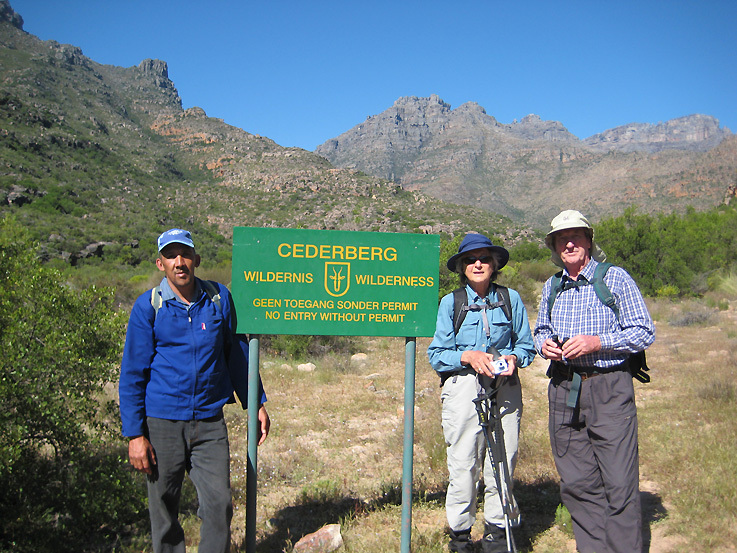 Our last day’s hike through the kloof to Wupperthal was beautiful – Avril offered to take us all the way, and we were collected by Rodney (this time in a larger vehicle) and John Mountain. They did accurate calculations of how much time we required to see the bushman paintings at Sevilla, and to arrange an early lunch, which is highly recommended for the quality and service. John Mountain’s presentation on the paintings was excellent. We all arrived back to Living Landscapes feeling thoroughly satisfied with having walked in one of the most dramatic areas on earth, but more importantly, that we had engaged with a community of wonderful people. They made this trip extra special. One of the last items that we discussed, and one that we feel that you have made the correct decision on, is the gratuities. We were so happy that, as explained by yourself during our initial briefing, that gratuities have been added into the costs – it would have been so difficult to have equitably tipped the guides, donkey drivers, cooks and cleaners. We wish that this would extend into other types of holidays, where one is continually getting the feeling that there is an expectation of a gratuity. We wish you well with CHR and hope that you have linked this wonderful hike on to TripAdvisor to get extra coverage by people looking to do exciting trails. This email sets out Henry and my sentiments. Our hiking family has been copied in on this email, and they may have additional information and suggestions to share with you – go well. 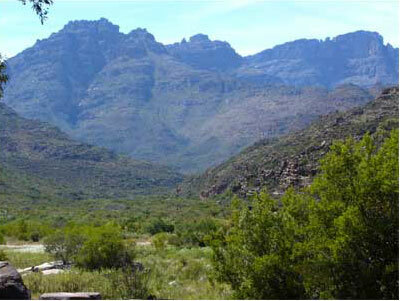 Bushmans Kloof …nestled at the foothills of the Cederberg mountains, the ideal wilderness getaway to escape and relax. 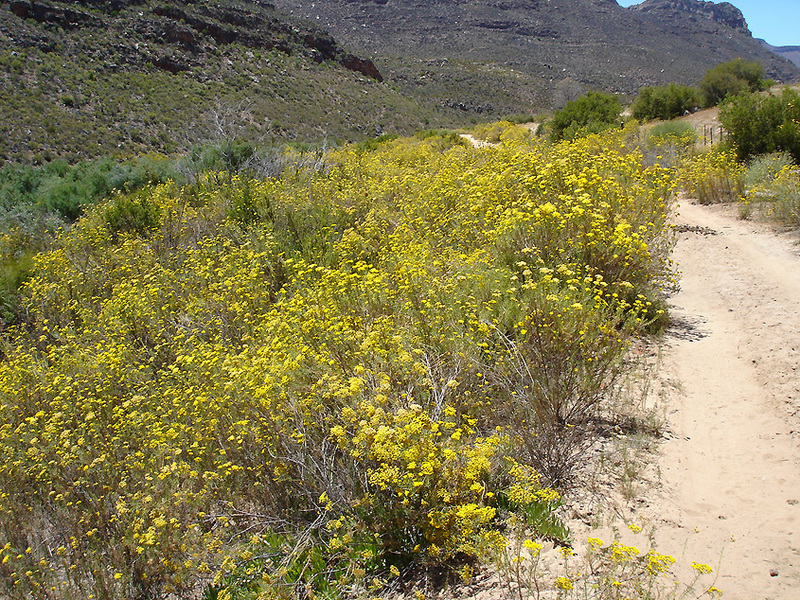 Cape Nature is a public institution with the statutory responsibility for biodiversity conservation in the Western Cape. 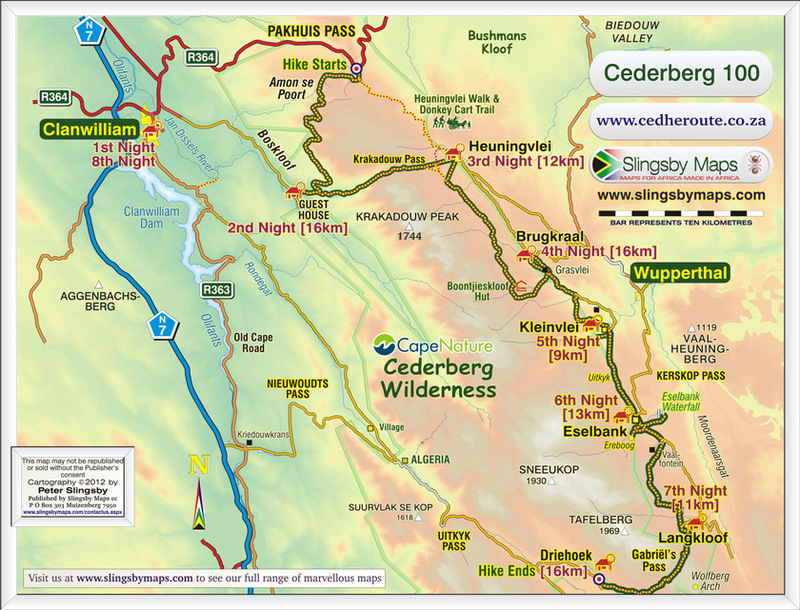 Cedarberg African Travel The Clanwilliam based tour operator who books the Cederberg hiking tours & trails and liaises with our guests. 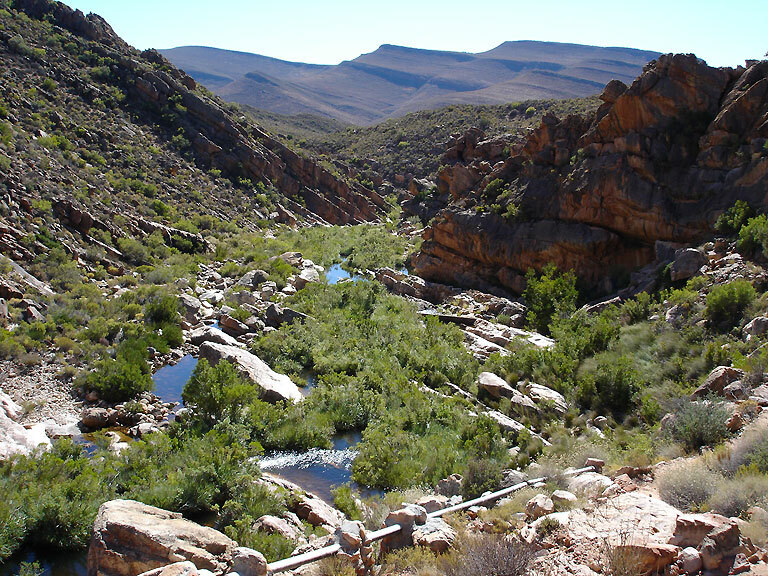 Cederberg Conservancy The solitude and breathtaking natural beauty of the area is captivating. Heuningvlei Backpackers Lodge This is our home, and it’s our mission to help you feel at home too! 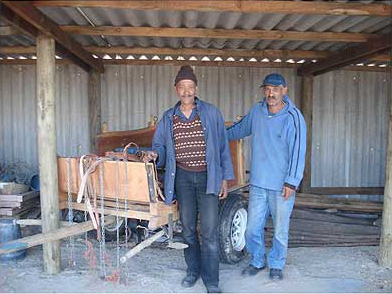 Living Landscape Project is a community-based initiative to create jobs by using the results of archaeological research. Cederberg slackpacking travel guide For the full story on Marion’s slackpacking saunter, check out Slackpacking in the Cederberg.